1. 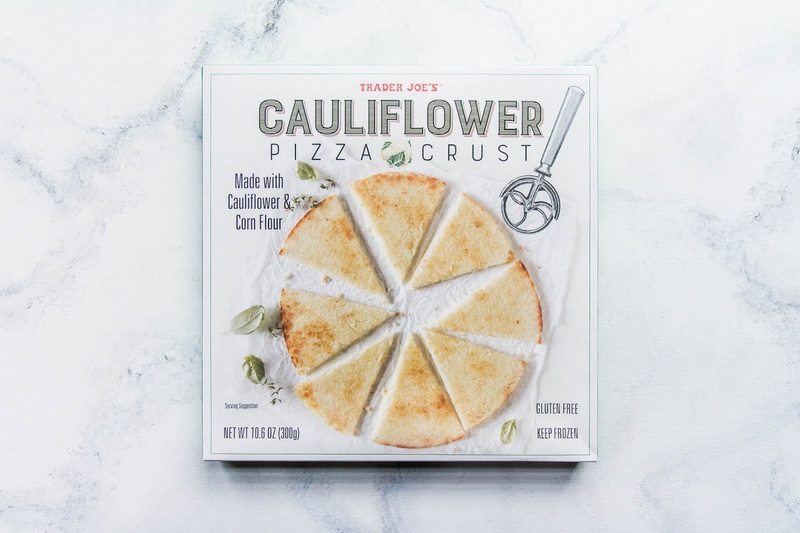 The Infamous Trader Joe's Cauliflower Pizza Crust. I remember when this pizza crust became popular last year and we could literally never get our hands on it. It was always sold out. It was a game changer. Being able to have a crust for your pizza that is lower in carbs is great. This is 2 points per slice. 2. 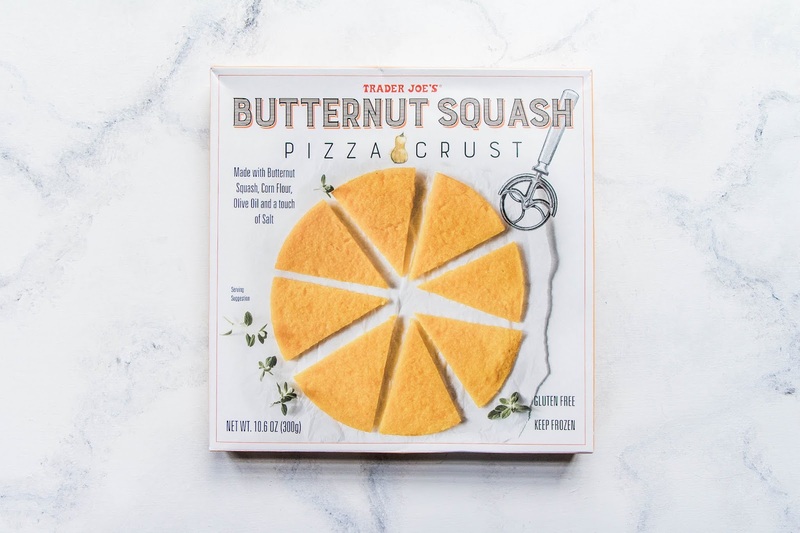 The New-er Trader Joe's Butternut Squash Pizza Crust. If you thought the cauliflower crust was a game changer, you're gonna love this one even more. This one is easier to hold and the flavor is so neutral, you really thing you are eating bread. I will now and forever choose this crust over the cauliflower one. Well, as long as it's available. 2 points for 1/6 of the pizza. 3. 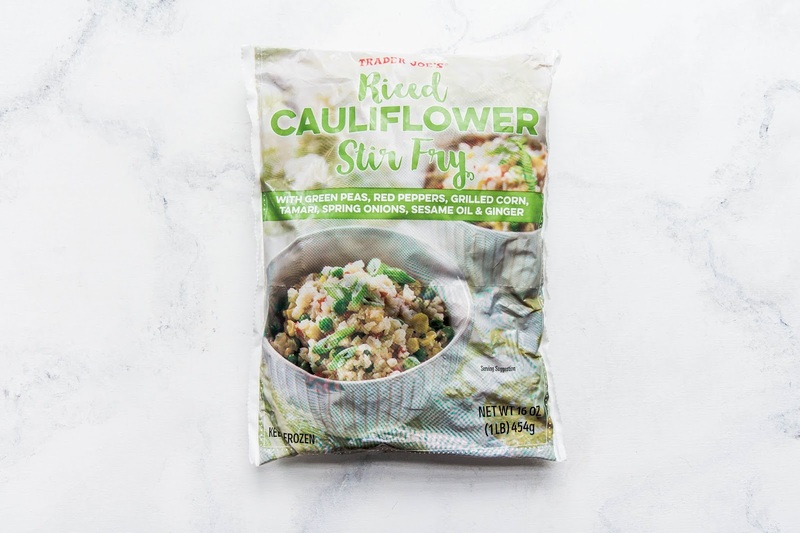 Trader Joe's Riced Cauliflower Stir-fry. We stumbled upon this little gem by no chance of our own. We were checking out and the manager was asking us if we had tasted this- he had seen the cauliflower crust in our basket. We hadn't seen or heard of the stir-fry so he had someone go get it for us and he gave it to us for free to try. Well, it's delicious! And you can have 2 cups for 1 point, which is more than enough. If you are a little sensitive to the cauliflower taste like myself, don't worry, you can't taste it. Oh and for you gluten-free folks- it's GF! 4. 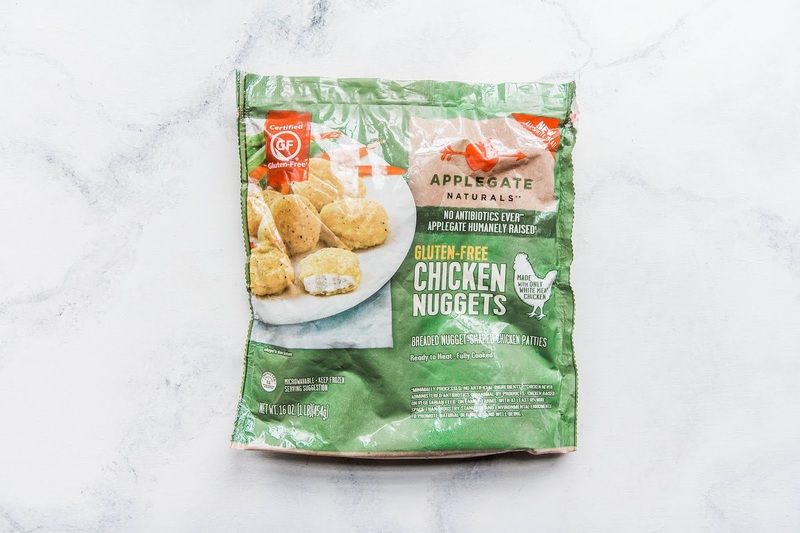 Applegate Gluten-Free Chicken Nuggets. Okay since Casey has celiac, we always get these in GF. They do sell them in a gluten-full version though if you wanna go that route. I will say I've tried both, and the gluten-free ones have more flavor. These are 4 points for a serving! 5. 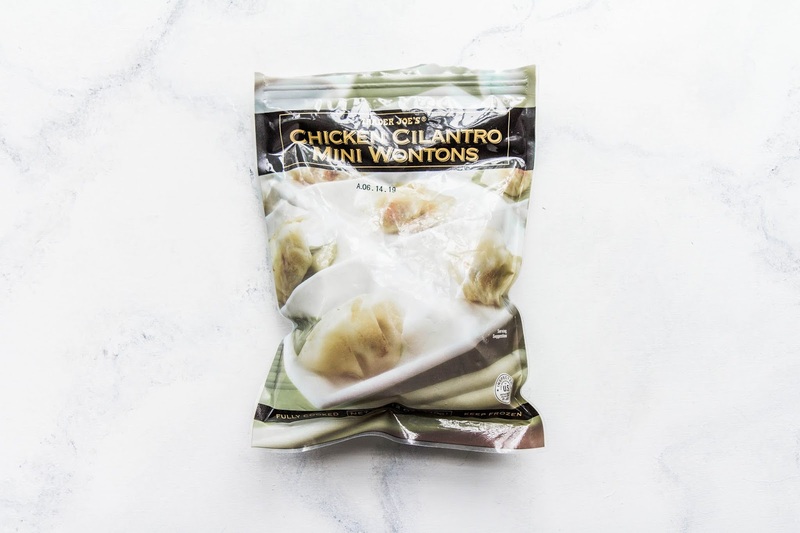 Trader Joe's Chicken Cilantro Mini Wontons. I found these by following other WW folks on Instagram. I was a little hesitant because I'm not a huge cilantro fan, but these are great! You can have 10 of these for only 3 points! Sadly, these are the only item on this list that aren't gluten free. 6. 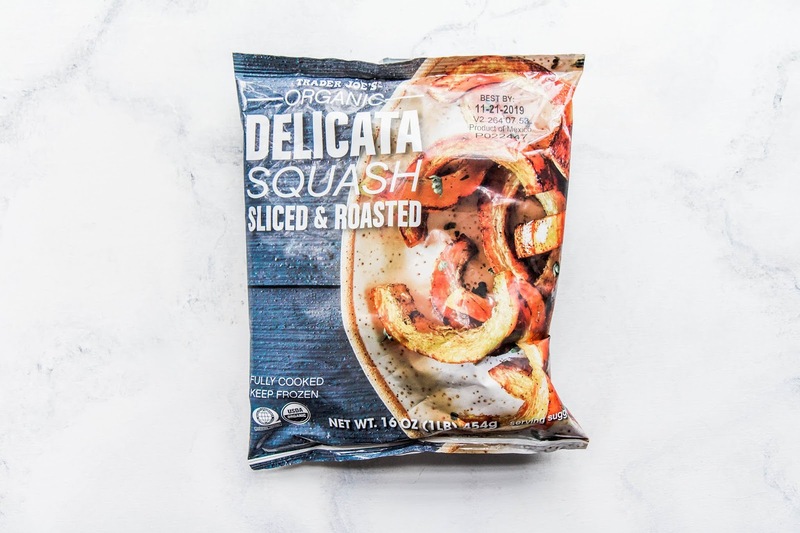 Trader Joe's Roasted Delicata Squash. This is a WW fan favorite. I had never heard of or tried it before WW. So I was glad to find this already cooked version to try out. It's really good! I'd say it's my second favorite squash (butternut would be my first), but I love to throw this in the oven and dip it in ketchup. It's a really quick side and it's 0 points! 7. 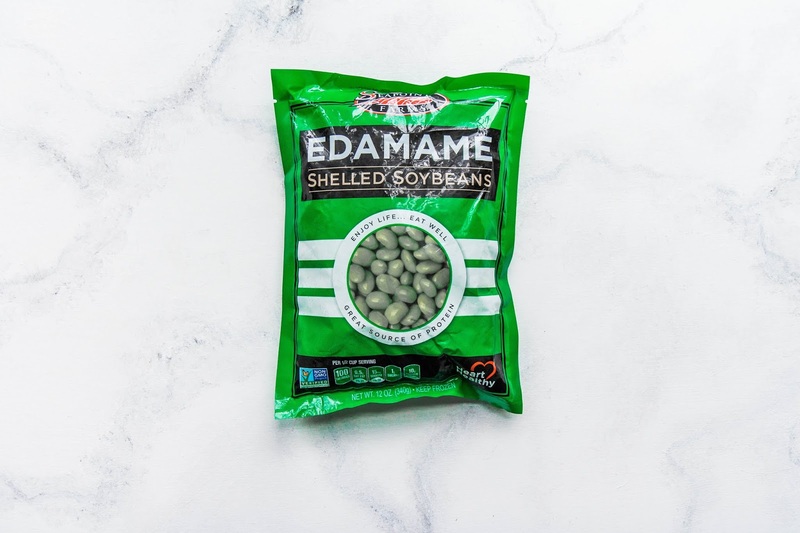 Shelled Edamame. Casey loves this stuff and it's 0 points! 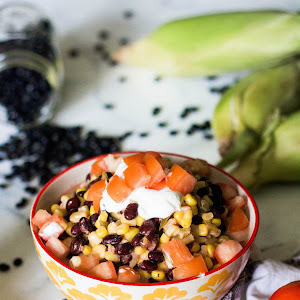 It's a great snack but could be a side dish too! 8. 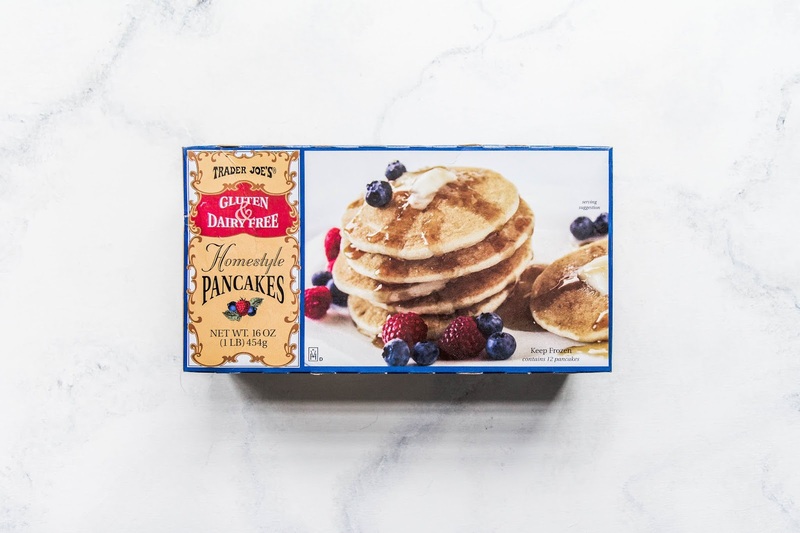 Trader Joe's Gluten & Dairy Free Pancakes. 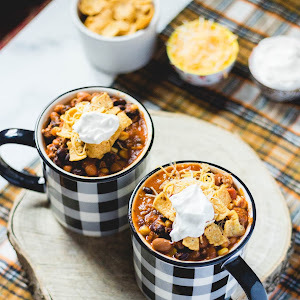 At 3 points each, or 8 points for 3, these aren't the greatest point situation, but they are delicious and come in handy when you are on the go. We've only ever eaten one at a time though. Just add egg and a couple slices of uncured bacon and you have a 5 point breakfast! 9. 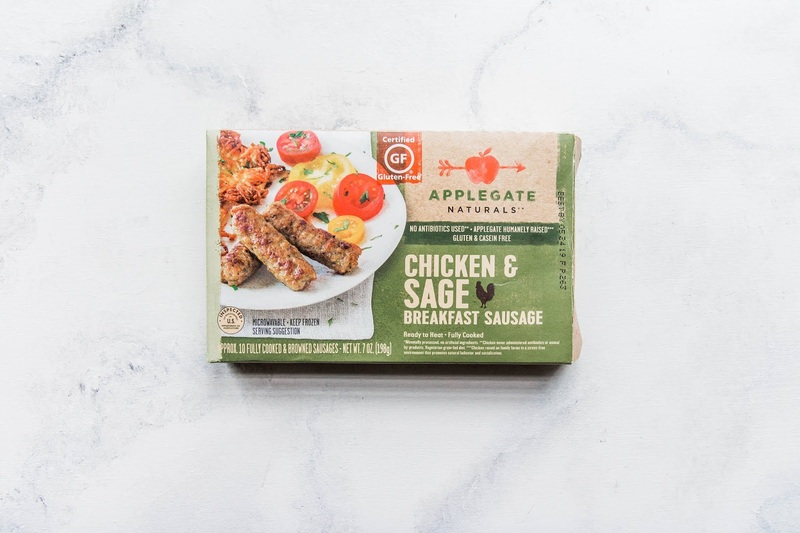 Applegate Chicken & Sage Breakfast Sausage. These have been a go-to for us even before we started WW. They are so good and only 1 point each. You can actually have 4 for only 3 points. We go through boxes of these like it's our job. We mostly eat them for breakfast but every now and then I'll even eat them as a snack. And there you have it! Our top 9 at the moment! 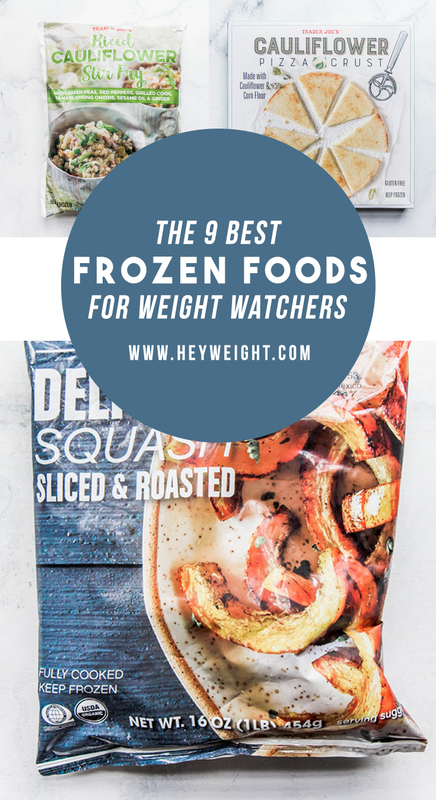 Actually, I already have started another list of frozen foods because as our journey goes on, we keep finding more delicious WW-friendly things. So keep an eye out for that. 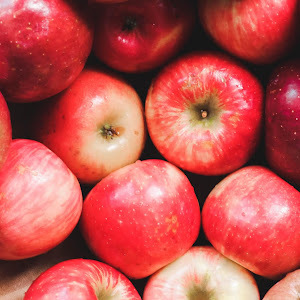 Want to see if Weight Watchers is for you? Get your first month FREE here. 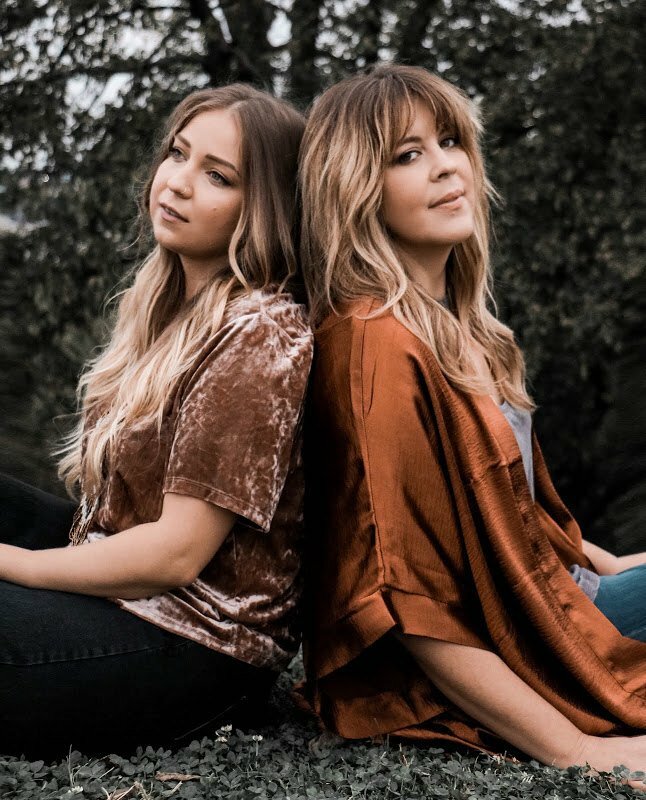 We are Casey and Savannah, two best friends eating our way through weight loss with the WW Freestyle program. Our goal is to give you the resources you need to successfully change your lifestyle and eat food that is delicious! Follow along as we explore new recipes and splurges. © Hey Weight. Design by FCD.